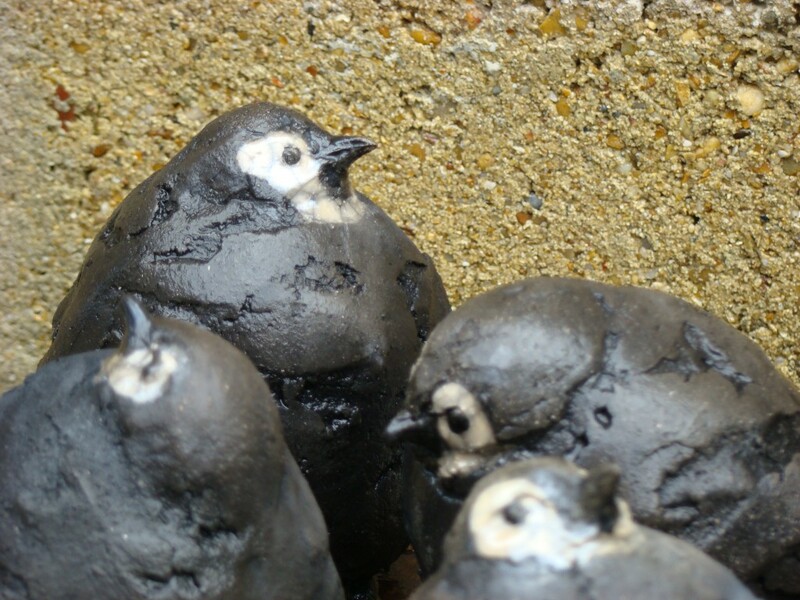 Winter’s here, it’s getting cold outside, and Christmas isn’t far away… getting in the spirit of wintery things this December Storie welcomes a family of perfect mini raku penguins by British artist Joanna Hair. Raku is an ancient Japanese ceramic technique traditionally characterized by hand molding clay… according to the traditional method, Joanna removes her penguins from the kiln while still glowing hot, and then rolls them in sawdust, giving the creatures a very smart grey suit. Joanna has been showing her work at leading galleries in France and around the globe for around 3 decades now, and we’re very happy to collaborate with her this Christmas. The penguins are in the window and on sale in Storie all December, to run along side a larger exhibition of the artists work at the 7Parnassians contemporary art gallery (16, Rue Delambre). Galerie d’Art Contemporain, 7Parnassiens, Exhibition des ouvres par les artistes de HANGAR43 du Mans : Alizirine, Joanna Hair, Alain Kurylo et Félix Aberasturi. One Response to "March of the Penguins, sculptures by Joanna Hair"